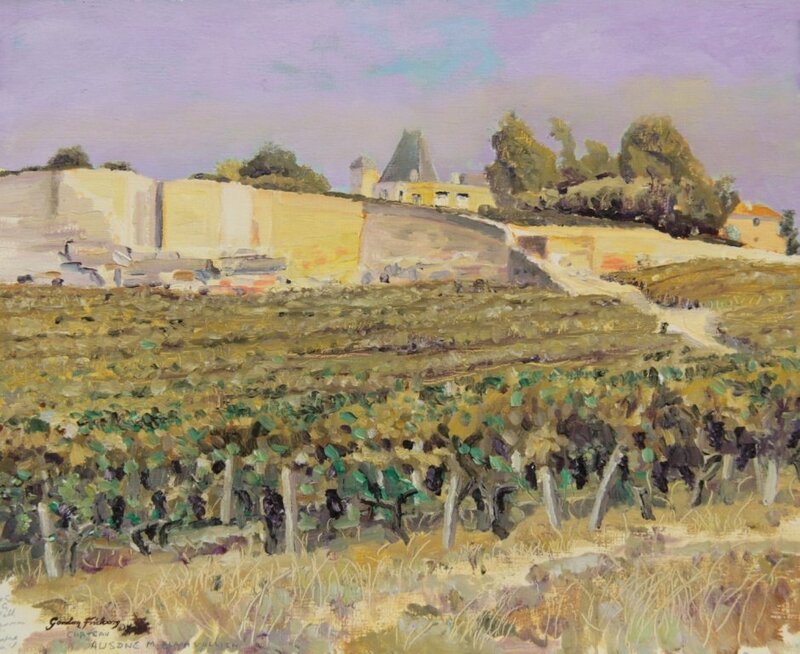 “The Château Ausone” by Gordon Frickers, landscape painting 40 x 50 cms (15¾” x 19¾”), oils, available, £1250. “The Château Ausone” was painted on location, ‘plien aire’. Today the scene is little changed. The famous Château Ausone estate occupies a prime site overlooking the Dordogne Valley and besides superb wines, it is particularly noted for its ancient chapelle. Château Ausone, one of the most ancient properties at St Emilion has an interesting history. We hope you to enjoy your visit, found something you like and follow our posts. Kindly spread the word to all the collectors you know who enjoy and appreciate fine art, if you think this project deserves success, you can help us make this project widely know.